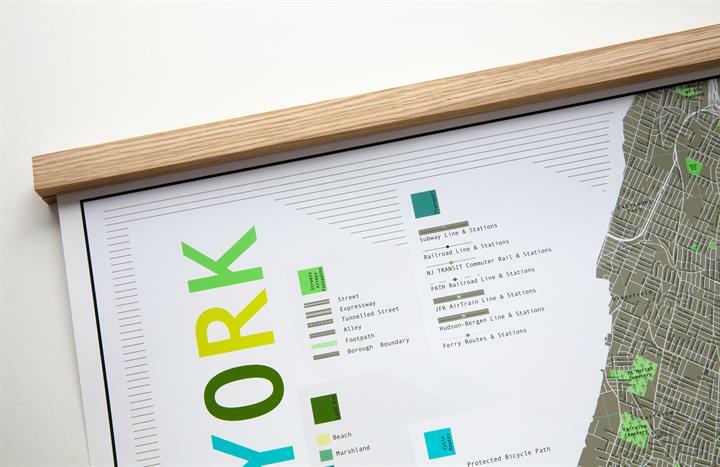 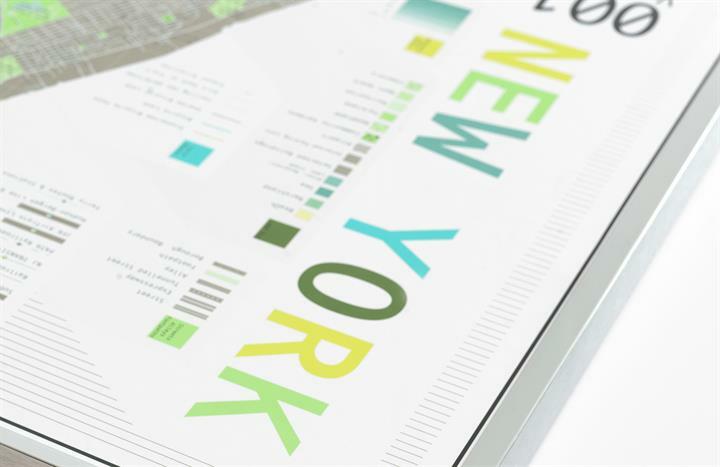 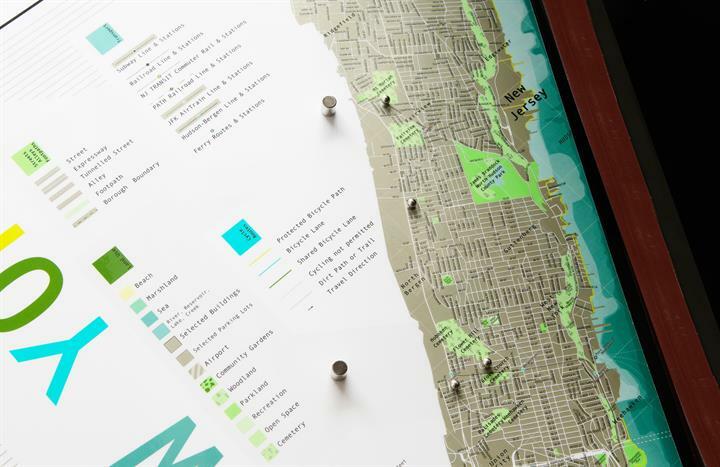 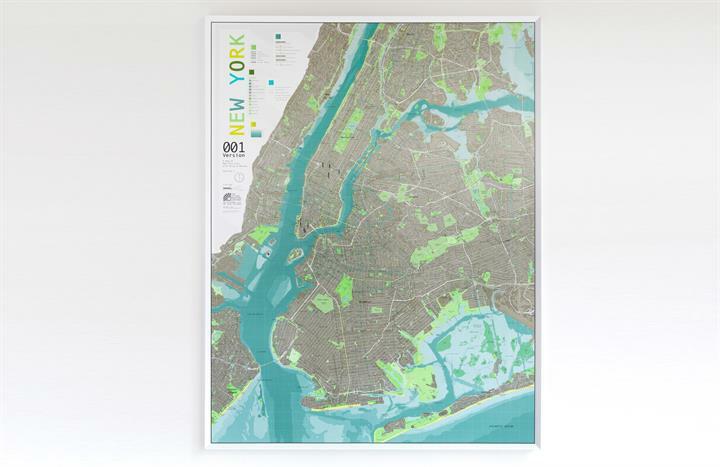 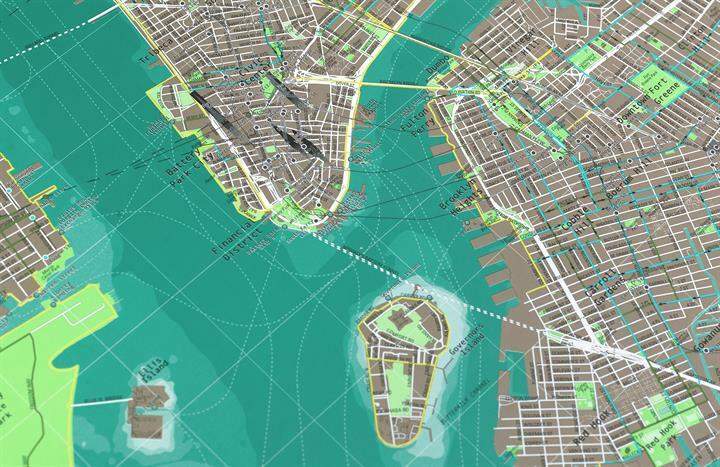 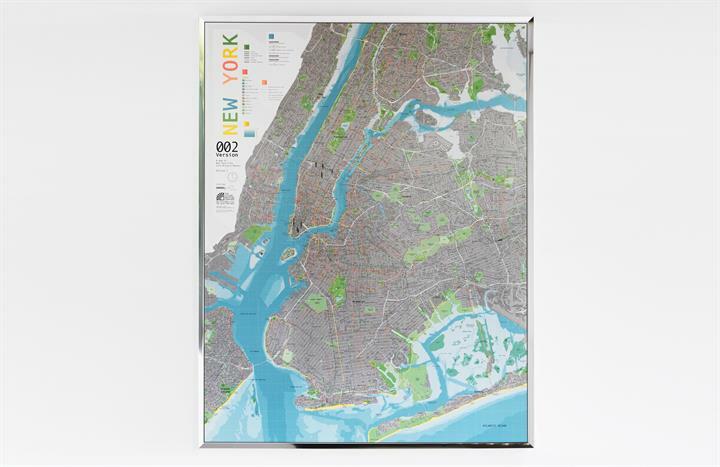 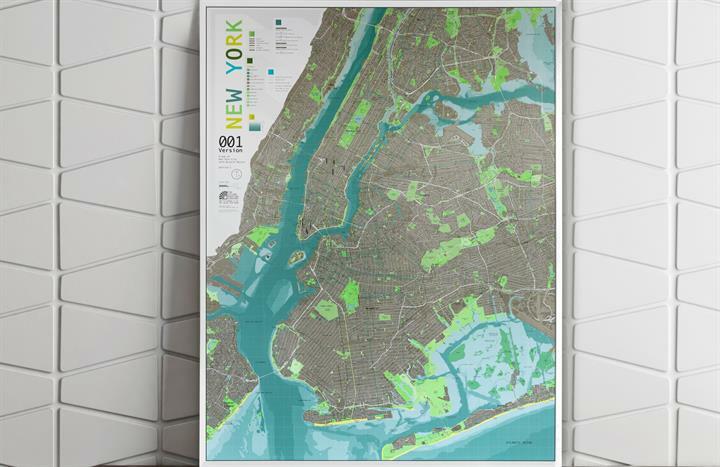 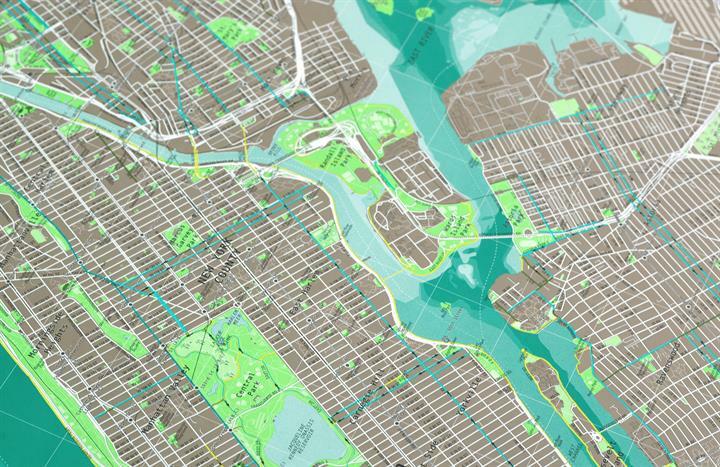 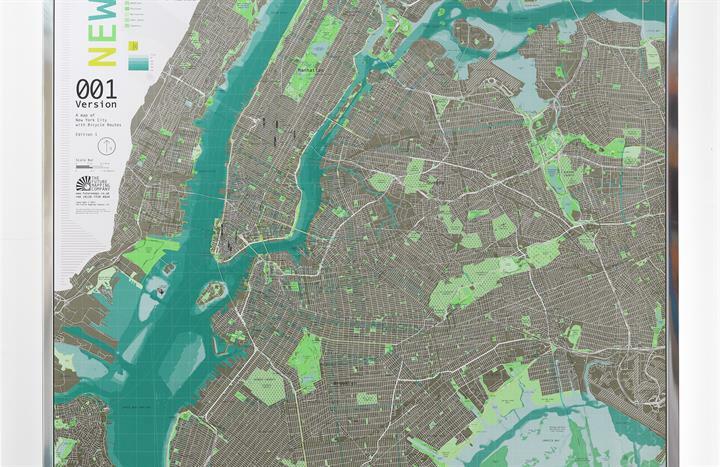 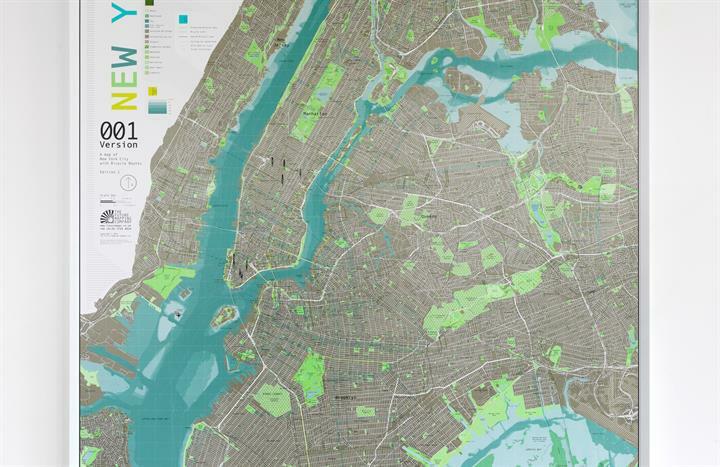 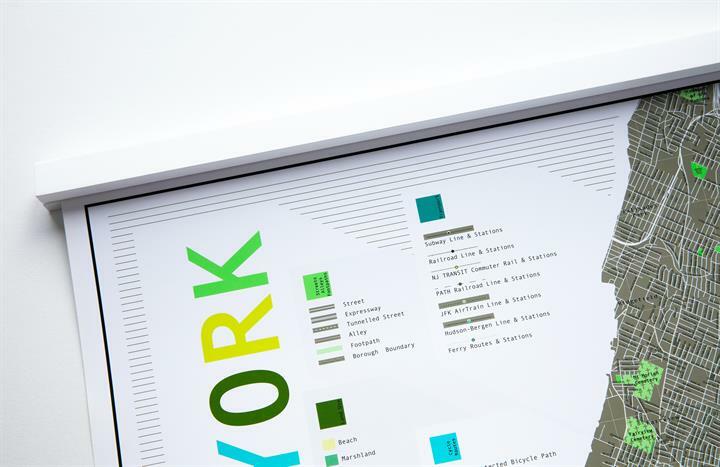 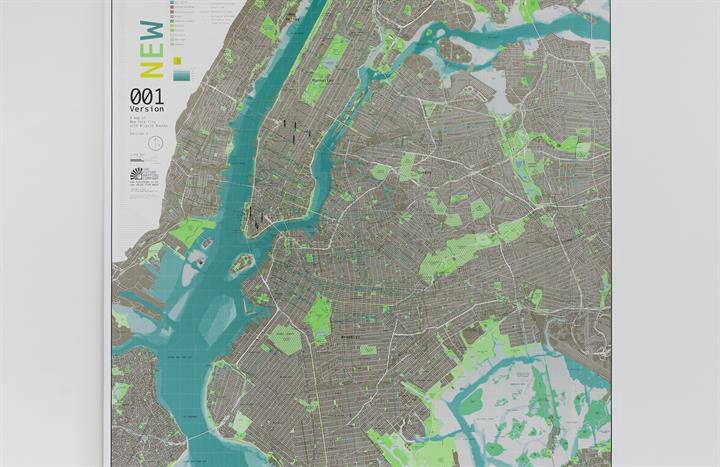 The first of our international city map series offers New Yorkers a modern take on their iconic grid plan. 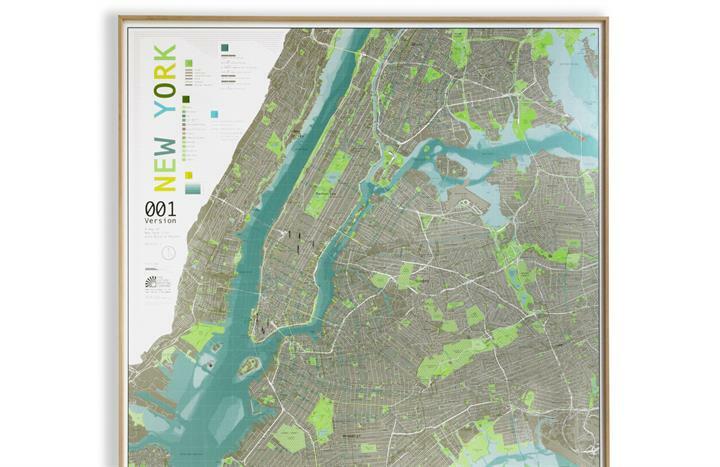 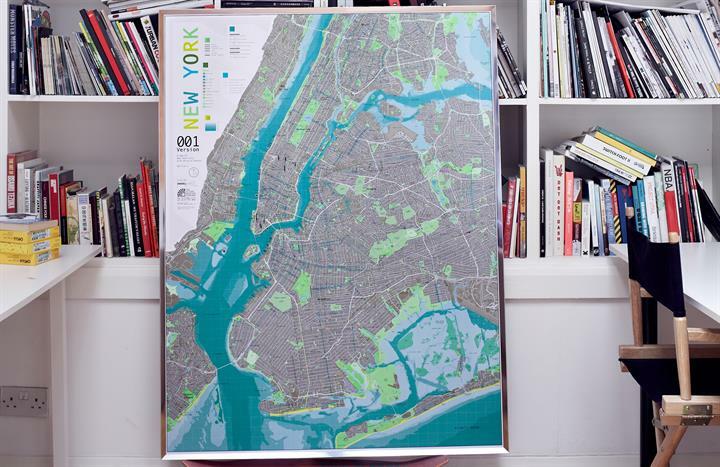 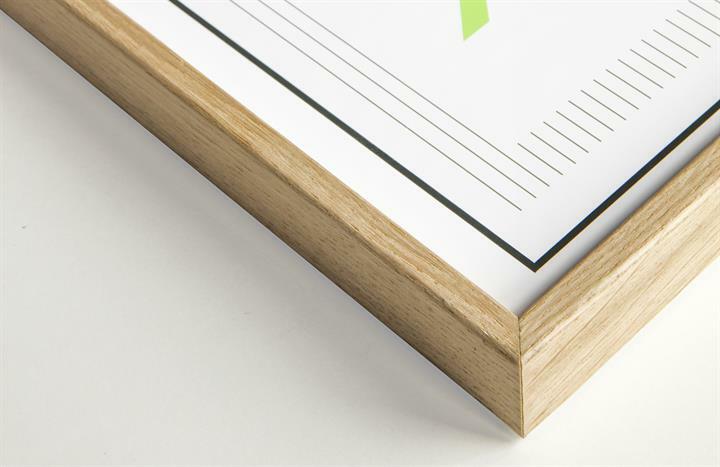 Finally New Yorkers and New York lovers have a map of their city that's as stylish and uncompromising as they are. 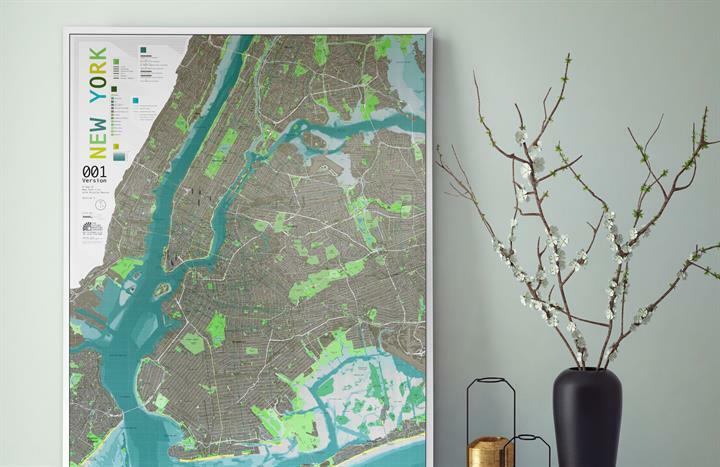 You can plan your route to cocktail hour from The Bronx to Brooklyn, Staten Island to Queens, or from a distance dream of the next trip to the Big Apple. 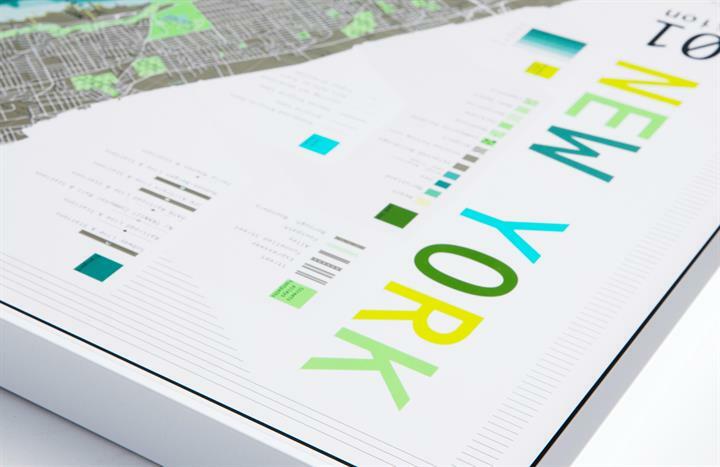 The map is full of intricate details: every landmark building, neighbourhood park and subway station will conjure memories and inspire new discoveries. 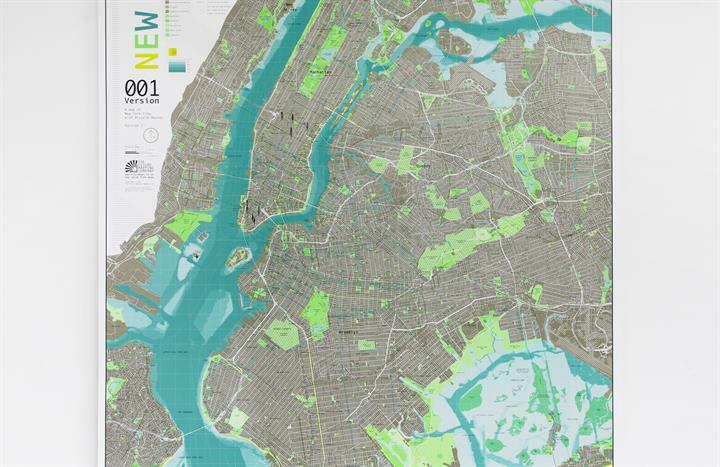 For cyclists daring enough to take on the Manhattan traffic this map features a meticulously colour-coded network of designated cycle paths and bicycle-friendly roads. 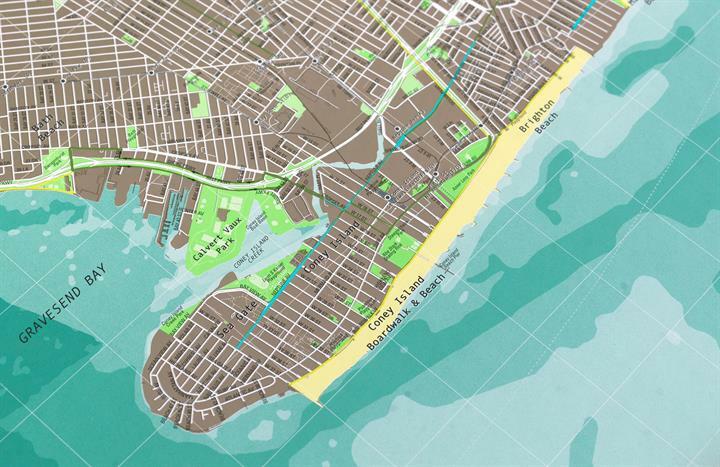 Whether you're a lycra-clad commuter or a basket-wielding shopper, or even if you're just 'walkin here', your map will help you plan the best route.